"Possibly the most moving moment you’ll see on screen all year," says Boston Globe film critic Peter Keough about a scene in our documentary Circle Up. See for yourself this Saturday, October 14 at 12 noon when the film premieres at the GlobeDocs Film Festival (if you're in the Boston area; if not, check our website for upcoming screenings). The film will be followed by a Q&A and an informal reception across the street at Beat Brasserie. Read on for more about Circle Up and other projects that have kept us busy and inspired over the last year. We've continued to branch out from traditional documentary approaches to creating transmedia projects across websites, social media, and physical spaces. Circle Up has started the festival circuit after winning Best Documentary Feature at Rhode Island International Film Festival. We're bringing the film to schools, prisons, and survivor groups to foster conversations about forgiveness and justice. Request a screening at your organization today! • We also just wrapped shooting on a short follow-up to our 2004 documentary Monkey Dance, which followed three Cambodian-American teens coming of age in Lowell, MA. Their parents survived the Khmer Rouge killing fields and they navigated the minefields of urban America; now these young leaders help new immigrants find their way through challenging circumstances. We were deeply moved to get to know veterans who are healing in nature as we collaborated on a video for Wildrock, a park in Virginia that helps people recover from trauma. • We completed A Transformation to Student-Centered Learning, a 25-minute longitudinal piece about systemic changes at Pittsfield School District. Julie also mentored students documenting senior projects at Souhegan High School - putting students at the center of not just their learning but the stories told about that learning! • We also profiled an Ethiopian immigrant who accesses many helpful programs in a video for Cambridge Community Foundation. 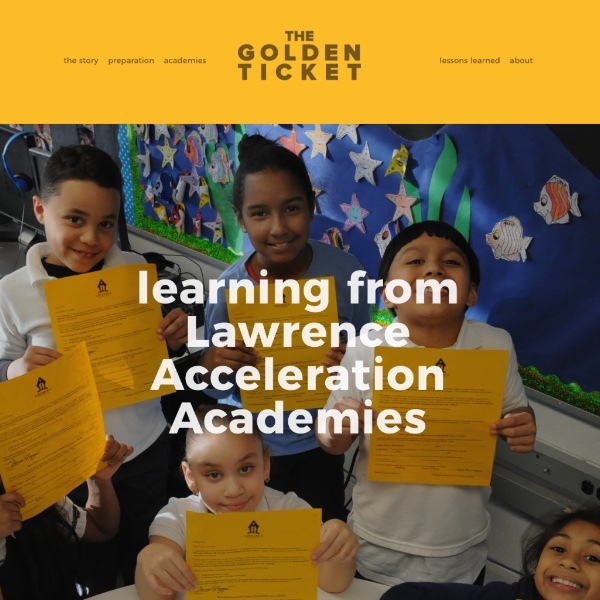 Our team collaborated on The Golden Ticket, a case study of a powerful learning intervention told through a rich website with dozens of videos, interactive graphics, and other resources. "Julie's drive, creativity, and keen intellect were absolutely critical to the success of this project," says Jane Feinberg, Senior Advisor and Regional Partnership Lead at New Profit's Reimagine Learning Fund. "I couldn't have done it without her." • Melissa Ludtke and I are releasing the sixth and final story of Touching Home in China, which unfolds across iBooks, Facebook, Twitter, Instagram, YouTube and a curriculum-rich website. 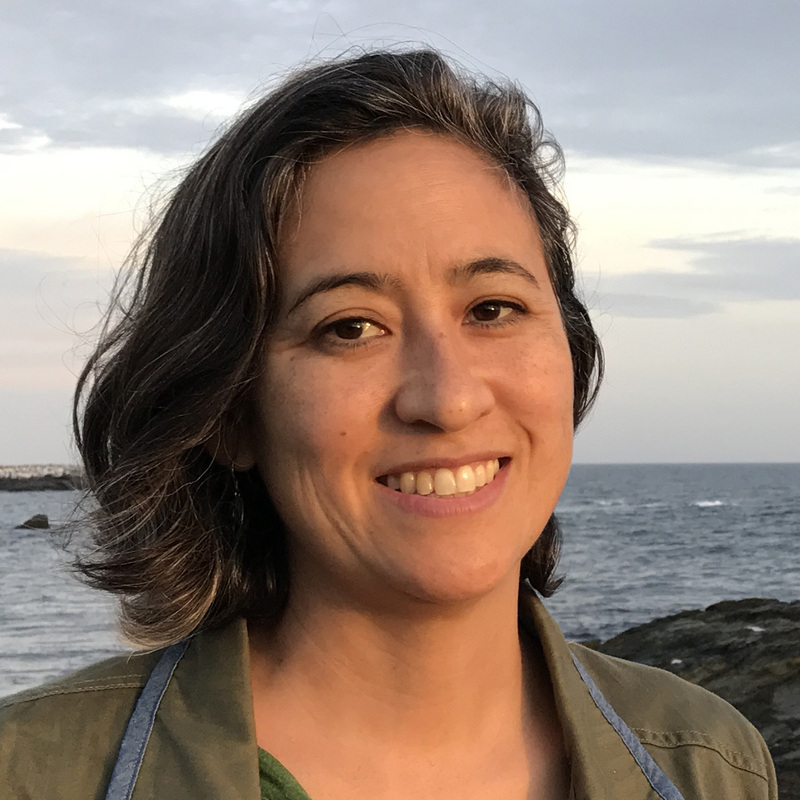 Julie Mallozzi Productions creates award-winning documentary films as well as media for non-profit and government organizations. Julie also teaches at Rhode Island School of Design and MassArt’s Summer Film School.